The Russia-funded political ads that ran on Facebook during the 2016 election will be shown to the public, members of the House Intelligence Committee said on Wednesday. House and Senate committees are investigating ads that ran on Facebook, Twitter, Google, and other platforms in an effort to determine how Kremlin-backed trolls organized their misinformation campaigns and whether the ads influenced the outcome of the election. The announcement came after Congressional staffers met with Facebook chief operating officer Sheryl Sandberg. The Facebook executive is doing damage control in D.C. this week after the company was criticized for not discovering the ads sooner and not making them publicly available. “We’ve asked for Facebook’s help to help scrub any personally identifiable information,” Schiff added, “but it’s our hope that when they conclude that, then we can release them publicly.” Gizmodo confirmed Facebook offered to address any privacy concerns related to the ads during Wednesday’s meeting. According to Conaway, Sandberg told the lawmakers that Facebook is working on every solution it can to “help American voters” understand “what the propaganda is they may or may not be reading.” But ultimately, he said, it is the voters who are responsible for choosing where to turn for information, and whether to trust or question it, while deciding which candidate to vote for. Schiff took a stand, however, saying that even “beyond the Russian investigation,” people engaged in political advertising on Facebook and other online platforms should be required to include disclaimers that identify who pays for the ads. 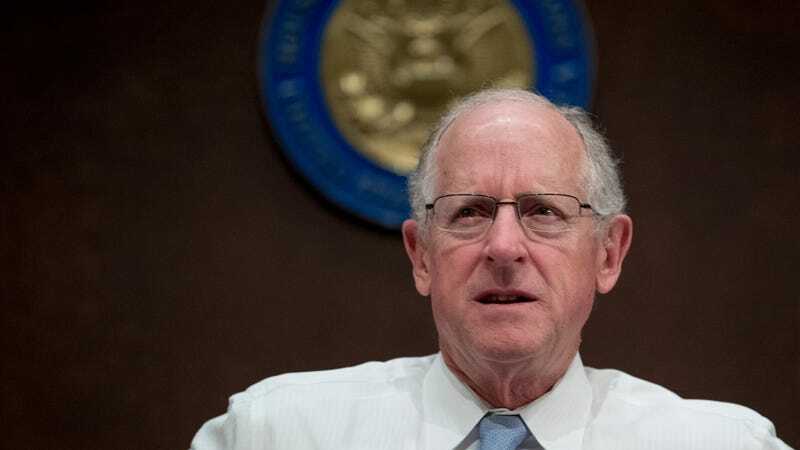 When asked if any Americans might’ve been involved in the placement of Facebook ads on Russia’s behalf, Conaway left open the possibility, saying he had no way of answering the question. “That’s beyond the scope of our conversation today,” Schiff said. Facebook says it linked $100,000 worth of ad buys to fake accounts originating in Russia. The company is providing the ads to Congress after initially claiming it could not share them because of privacy concerns. CEO Mark Zuckerberg announced the reversal in late September, along with a plan to more closely monitor political ads on Facebook. Although Facebook agreed to share the ads with Congress, and admits they reached as many as 10 million Americans, the company has remained resistant to the idea of publishing them publicly—a decision that’s been criticized by Sen. Mark Warner and other Democratic leaders. Top lawmakers on the Senate Intelligence Committee, which is also investigating the Russian ads, declined to comment.